Why Only A Few Providers Are Suitable For Shared Hosting - Reliable Hosting Company | Dedicated Server | Shared Hosting.. The world of hosting presents you multiple choices in terms of types, plans and prices. Different companies promise to deliver high-quality hosting services for your website or blog. Among all the types, affordable shared hosting is probably the most famous in the digital world. Small businesses, bloggers, and other professionals find shared hosting highly approachable due to its affordable nature. However, it is also important to know that shared hosting is not an easy service to provide. It takes critical maintenance and professional approach of the experts. This is the reason why there are only a few companies capable of providing hosting that actually helps your business and online presence. Here is a detailed discussion on why you should only trust a few shared hosting services. It takes years of experience and skills that allow a service provider to deliver highly secure shared hosting. 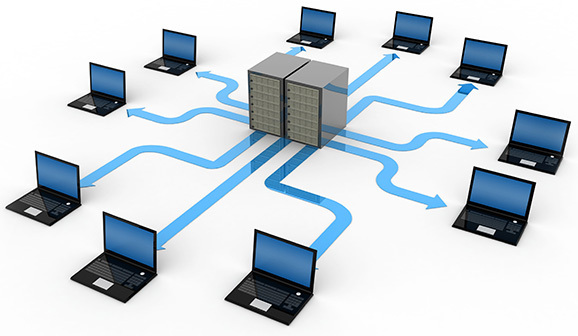 With multiple users using a single server, the job of the hosting provider becomes critically important. They need to work on their toes constantly in order to deliver top-notch security to the servers. Hence, you can only trust experienced and reputed companies when looking for shared hosting. Professionals working in reputed shared hosting companies know the importance of research before deciding the hosting plans. Reliable companies gather data related to the consumer interests and use it as a foundation to provide flexible hosting plans. This research work is what brings diversity to their plans and allow website owners, bloggers and other people to gain a perfect hosting plan,which is definitely not possible with all the hosting providers. Sure, shared hosting is much more affordable than other hosting types. However, this affordability requires a smart approach, which is not possible with any random hosting provider. To keep the price lower, companies need to manage the hosting platform in terms of server quality, number of users and other aspects. Finding the right balance between hosting quality and price range is an art. And professionals learn that art with experience. Most of the users complain about the difficulty they face while using the hosting services. This happens due to the lack of assistance and support provided by the hosting services. Not all hosting services deliver constant and reliable support to their users,which become a hurdle for many users. Thankfully, there are a few reliable services that make their hosting easy-to-use. The user-friendliness of the hosting services makes a shared hosting more approachable for newbies. But that depends on the service provider you select. All the mentioned reasons make it clear that there are only a few hosting providers that can offer effective shared hosting. The quality of support, simplicity, cost-effectiveness and all the other benefits are possible with a few companies only. So, your job from here is to look for a reliable hosting company that has the capacity to serve you the best. I must say you've done a excellent job with this. Additionally, the blog loads super quick for me on Safari.